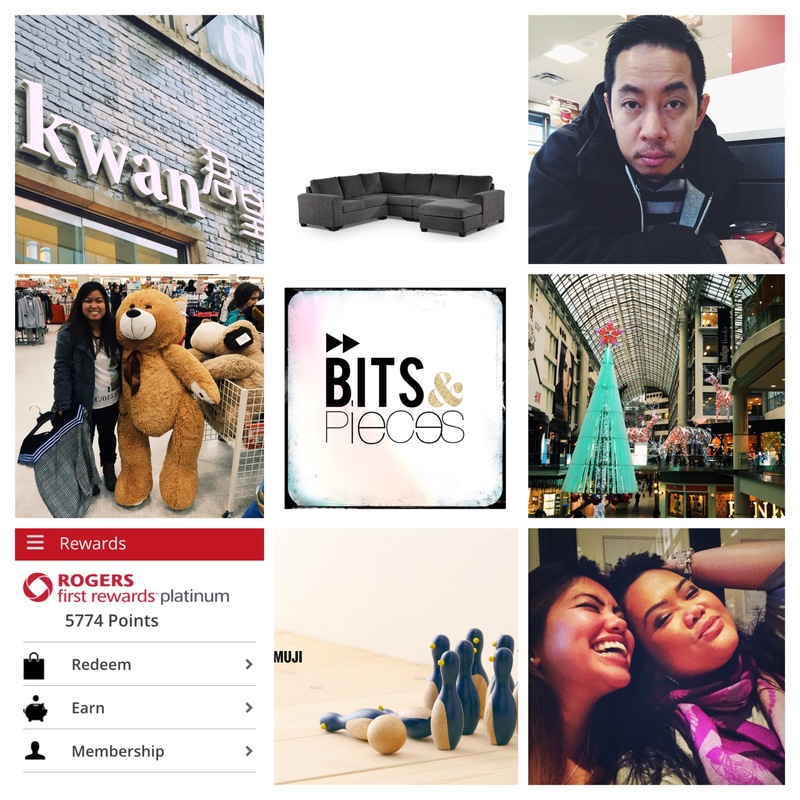 It’s my first BITS & PIECES post, so I’m a little excited. aww a friend of mine is going through such dark times and I just wanted to give her a piece of my peace. she is a strong woman and i know she’ll pull through. that’s the couch I semi-officially want to buy (semi because i haven’t purchased it yet). I am excited to see and test it in person. i am absolutely in love with the F2 filter on the VSCOcam. currently obsessing with photo editing apps, currently obsessed with Phonto now too. yes i found a bear at Winners on the weekend and it was as tall as me. thinking of changing that banner already since i found Phonto afer creating it (next year nalang siguro). i used Rhonda to create it because i loved that glittery amphersand, but I just can`t resist the possibilities from Phonto’s fonts! called rogers to finally cancel my no-longer-free TMN subscription, while i was on hold… i looked through my reward points and how to redeem stuff and i found a few rewards that are worth getting. of course my silly girls on GNO last friday, could not resist not reposting this in every social media outlet because they are too cute in this pic.